Spring has arrived and the golf courses are beginning to open for the season. Now is the time to update your golf bag and get everything you need to play like a professional this year. The most effective way to lower your score is to improve your game from 100 yards-in. 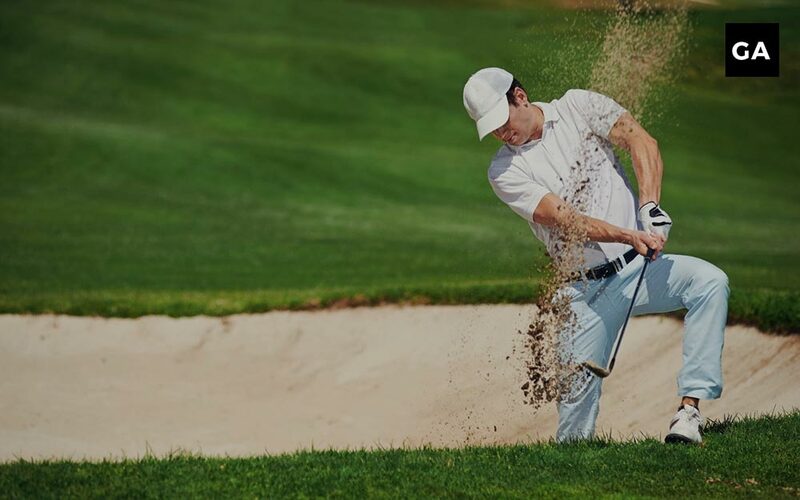 In this article I’ll break down the best new wedges from the most popular golf brands in order to help you find the best sand wedge or best lob wedge for your game. Every golfer has strengths and weaknesses on the course but everyone could benefit from improving their wedge skills. In the most recent years, golf companies have changed the way wedges perform with amazing new technologies. For example, one of the hottest trends in wedges at the current moment is groove-in-groove technology and increased surface roughness in order to promote spin and feel. Another great innovation in wedges is the new methods for distributing weight. Wedge developers do this by putting weights in the heel or increasing the length of the toe. As a result, the center of gravity is improved and the golfer will experience a better feel from all lies. The goal of most golf equipment makers is to help the average golfer enjoy himself more on the course and become more consistent from 100 yards-in. This has been achieved in the past few years by groundbreaking innovations. Top of the line groove technology and precision milling is the industry standard in 2019. Top of the line groove technology and precision milling is the industry standard in 2019. Callaway uses milled groove-in-groove technology to increase the amount of spin in it’s fourth version of the Mack Daddy series. 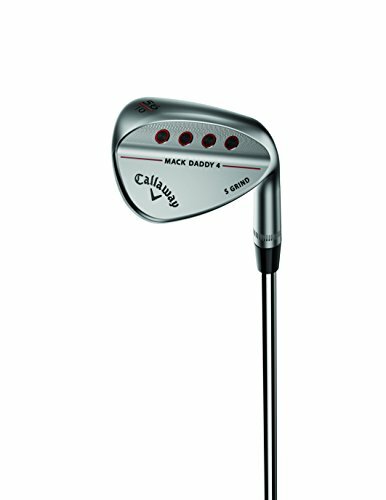 The Callaway Mack Daddy 4 is made of soft carbon steel which gives the player a soft feel when striking the ball. The groove-in-groove technology combined with Callaways increased groove roughness, makes these wedges spin more than ever. The Mack Daddy 4 offers the player more options with lofts ranging from 46-64 degrees, it gives you the choice of a lob wedge or sand wedge. I would recommend these wedges for any player that is looking for more spin around the greens. The RTX 4 is the newest Cleveland sand wedge to be introduced on the market and it features deep grooves and agressive face milling to increase spin. The Cleveland RTX 4 is their best model to date. The 4th Generation Rotex Face Technology generates more spin than the previous models. 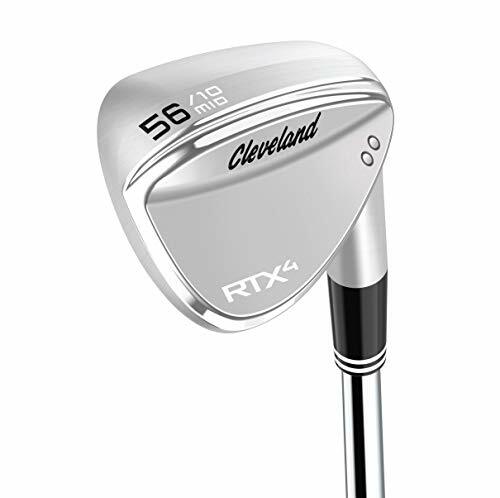 The RTX 4 boasts the most aggressive face milling that Cleveland has ever had for a sand wedge. The Progressive Feel Balancing Technology balances the center of gravity for better feel and control. The V shaped sole improves feel around the green on steep angled swings. This club gives the buyer a choice from 46-64 degrees. I would recommend the Cleveland RTX 4 for a golfer of any skill level because of its increased spin and exceptional feel. 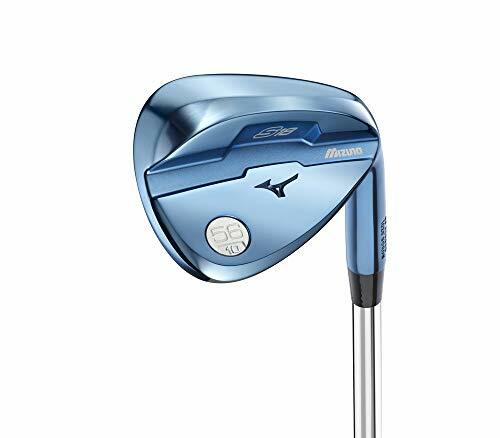 The Mizuno S18 wedge is made from boron, a carbon steel that is 30% stronger. The S18 wedge offers more control and consistency than ever with increased roughness on the face to promote grab and spin. Mizuno offers a metallic blue finish on this model. The Mizuno S18 wedges offers more versatility than ever before. This versatility comes in the form of loft specific bounce angles, sole grinds, grooves and center of gravity. The center of gravity moves to the top of the higher lofts in order to improve trajectory control. Increased roughness on the face and milled grooves improves the spin around the greens. This club is offered between 46-60 degrees. I would recommend this sand wedge to a skilled player because of its trajectory control and increased spin around greens. The Ping Glide 2.0 changes the game with new innovations. The grooves on these wedges are milled precisely and vary by loft in order to improve spin and control for the purpose of each club. The wedges with higher lofts have two more grooves than the previous Ping Glide model. The grooves on the Ping Glide 2.0 are closer than before for more spin. Based on your attack angle, four options of sole grinds allows the player to get the most out of this wedge. A hydropearl finish repels water from the club for a cleaner strike between the clubface and the ball and more consistency between dry and wet conditions. This club is offered between 46-60 degrees and offers four grind options. 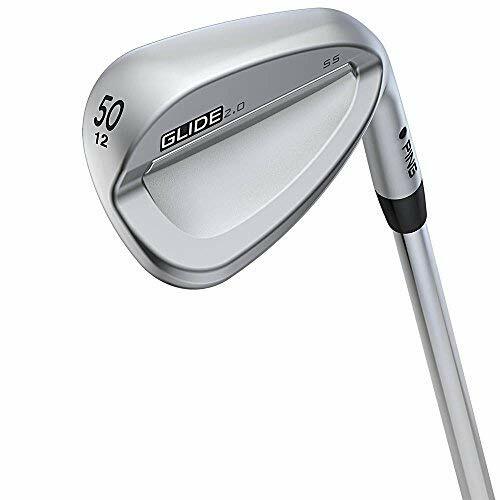 The Ping Glide 2.0 is a great wedge for a player of any skill level, it offers improved consistency and the newly developed grooves will improve your feel around the green. The Taylormade Milled Grind Hi-Toe Wedge is another example of Taylormade’s innovation. Each wedge is computer-milled to ensure precise specifications and the hi-toe design promotes a higher center of gravity. This wedge is offered from 50-64 degrees with four sole grind options. The Hi-Toe design makes it more controllable from all lies and double sole gives the player two bounce surfaces and keeps the club from excessively digging into the turf. The bevel on the Hi-Toe wedge is increased to reduce the leading edge and improve the strike. 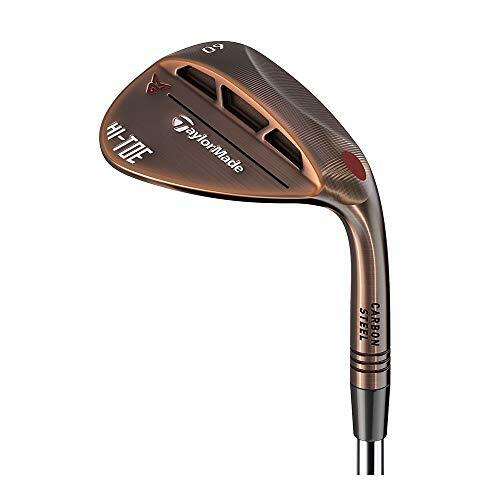 This wedge comes with a bronze finish. The Taylormade Hi-Toe wedge is a great fit for anyone who struggles from the rough and is looking for more consistency. Titleist Vokey wedges are back this year with the SM7 design. New and improved loft specific grooves set this wedge apart from the previous Vokey models. The center of gravity of each wedge varies by loft in order to get the best out of the player and the club. Titleist releases a new series of wedges every two years, all designed by Bob Vokey. This series offers several new technological advancements. The lower lofts (46-54) have narrower and deeper grooves while the higher lofts (56-62) have wider and shallower grooves. This gives the SM7 better spin and control for all players. The center of gravity has been moved up slightly on the higher lofted wedges to increase consistency. Titleist makes the most popular wedges in the game of golf and they delivered quality and innovation once again with the SM7. 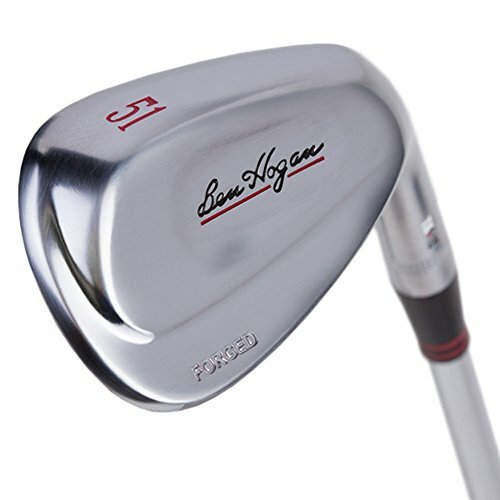 The Ben Hogan company set out to make a wedge that was consistent on full and partial shots and that goal was completed with the TK wedge. These wedges are versatile around the greens, from the rough, and form the fairways. Ben Hogan believed that wedges should not be played from outside 40 yards and shouldn’t be played with a full swing. The Ben Hogan company set out to solve both of those problems with the TK wedge. A forged wedge with mass distribution throughout the back to encourage consistency. The TK wedge has a clean look and is offered from 44-62 degrees. The Ben Hogan TK wedges offer the player a quality wedge with a beautiful look and will perform better than competitors on full swings. The Versatility To Take On Any Shot: This design lets you accelerate through the ball and go after every shot. You can get up and down from anywhere - even on flops, bunker shots, and out of the thickest rough. This wedge was designed by Phil Mickelson with the purpose of improving short shots. The high toe design is similar to the new Taylormade wedge and raises the center of gravity which creates lower trajectory shots. Phil Mickelson teamed up with Callaway designer Roger Cleveland to create the Callaway PM 19 Wedge. This high toe wedge has an offset that makes it more controllable on knock down shots. Surface roughness and micro-grooves allows this wedge to spin more around the greens. Available in platinum chrome our tour grey with lofts from (54-60+64). If you’re looking for a quality wedge that you can trust to perform around the green, look no further than the Callaway PM 19 Wedge. The new Honma Tour World TW-W wedge is made with precision to deliver consistency. This forged wedge has a clean look with a higher toe to allow the player to get through the ball. Honma has recently become more popular recently because of their top notch products. The Honma New Tour World TW-W wedge has a raised toes, a triangular shape, a raised heel, and moderate bounce in order to promote consistency and playability on any lie. The grooves are as sharp as legally possible to ensure spin. This club is offered from 52-60 degrees with three bounce options. These handcrafted forged wedges offer the player a soft consistent feel with spin. The Taylormade Milled Grind wedge has a CNC milled sole that allows for a penetrating strike through any length of grass making any golfer more consistent. The Taylormade Milled Grind wedge is one of the most precise and well balanced wedges that Taylormade has ever produced. The CNC milled sole and improved center of gravity make this club versatile around the green and offers better feel on full swings. This wedge is offered from 50-60 degrees with three loft options and three different colored finishes. 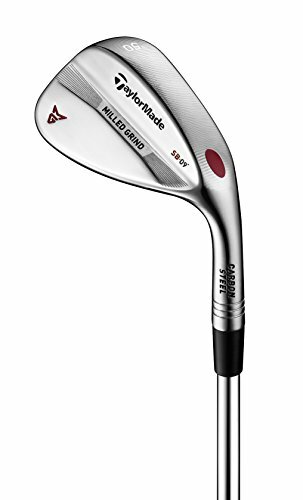 The Taylormade Milled Grind Wedge is one of the sharpest looking wedges that Taylormade has ever produced and the CNC precision milled sole makes it glide through any lie. The new Mizuno JPX919 wedge uses increased surface roughness in order to generate more spin and their soft feel and control on full swings makes them versatile around the course. Mizuno continues their reputation of sharp looking golf clubs with this pearl finished wedge. The quad cut grooves increases spin and the soft steel gives this club extraordinary feel. This club is offered from 50, 55, and 60 degrees with several bounce options depending on the loft. This wedge series is perfect for the player that is searching for more spin and improved feel. 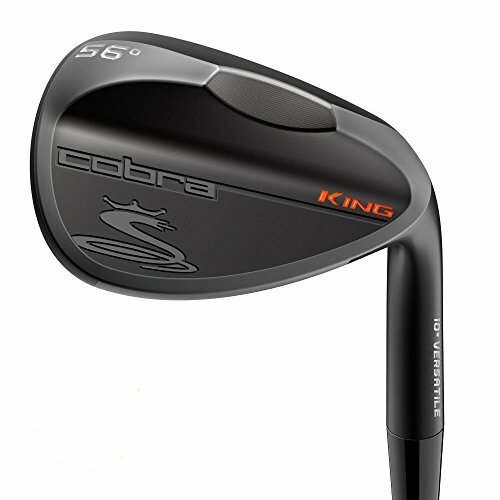 The Cobra King wedge features CNC milled grooves with Progressive Spin Technology. The lower lofted wedges have wider grooves in order to provide more consistent spin between all the wedges. This new wedge from Cobra offers all handicaps improved spin with a soft feel. The CNC milled face and variable face roughness combines with 8620 carbon steel offers a soft feel with more stopping power on the green. These wedges are offered from 52-60 degrees with three different grinds. 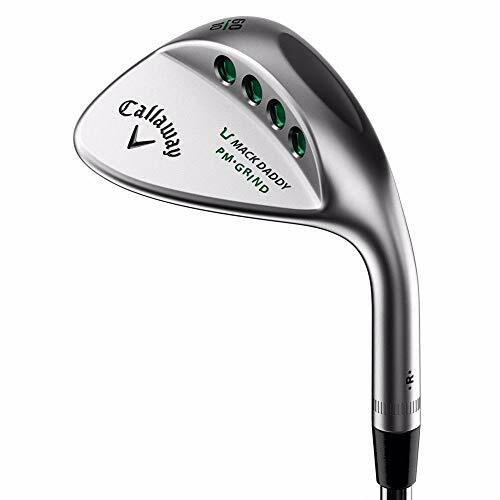 This wedge also comes with various colored finishes, including black. The Cobra King wedge uses Taylormade’s Progressive Spin Technology to produce wedges that will check up and perform how you want them to. The various color options suite everyone’s preferences. Common trends between wedge makers has become apparent to me after researching these wedges, there are important new innovations that I thought were important to learn about. With advancements in technology, golf clubs have improved massively and golf equipment producers are constantly working towards being the best. Wedges are no exception to these improvements. Whether it’s multiple grooves, added weights, or a lifted toe, wedge makers attempt to set themselves apart from their competition by making promises to consumers about how these clubs will improve their game. Below is a breakdown and examination of my favorite wedges from the reviews above. The most popular wedges in the golf industry today are the Vokey wedges from Titleist. Designed by Bob Vokey, these wedges are the industry standard. These wedges offer golfers top of the line innovations and sharp design features. 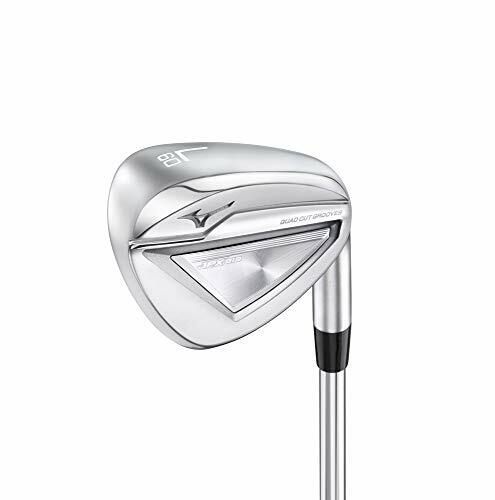 The newest release from the Vokey series is the SM7. The SM7 has an improved center of gravity and spin milled grooves. These new wedges offer more spin, control, and consistency than ever before. The sharp look and exceptional control is what makes these wedges the most popular in golf. Callaway is an example of a company that is producing high quality sand wedges with high tech improvements. Callaway’s most popular player, Phil Mickelson and one of their designers, Roger Cleveland, teamed up together to design one of Callaway’s most impressive wedges to date. This wedge was designed with the hopes of improving people’s games around the green and on shorter shots. The increased groove area allows for better spin and proper contact on all lies. The slight offset allows for a more pure strike and the raised toe allows for more proper weight distribution and center of gravity improvements. The Callaway Mack Daddy 4 is another recent release from Callaway that showcases their attention to detail an improvement. The Mack Daddy 4 has groove-in-groove technology and increased face roughness to promote spin. These sand wedges will improve the game of every skill level. Taylormade is another company that continues to impress the golf industry with their impressive equipment. Taylormade’s newest wedges are their best wedges to date for various reasons. First is the Taylormade Hi-Toe wedge which features a raised toe and full face scoring lines in order to increase spin. The features of this club makes it incredibly versatile from shots that are close to the green. The other hot release from Taylormade is their Milled Grind wedge which offers a precision CNC milled sole that performs on all shot types. Taylormade put a weight in the heel of this model in order to perfect weight distribution on the club. Adjusting and fine tuning the center of gravity is a popular process for wedge makers and Taylormade’s Milled Grind wedge is no exception. The center of gravity is important for making consistent shots, especially on full swings. On the topic of innovation and wedges, Mizuno must come into the discussion. In recent years Mizuno has released clean looking wedges that perform among the competition. Mizuno’s new wedges, the S18 and the JPX919 have great feel and feedback. The S18 has quad cut grooves that will improve the average players spin and leave them closer to the hole. This wedge is offered in blue, gun metal, and grey which makes it suitable for anyone’s needs. The JPX919 wedges were designed to cover the distance gaps of the JPX919 irons. These wedges follow the trend of precision milled grooves. The final wedge that I wanted to discuss is from a brand that has recently blown up in the golf industry. 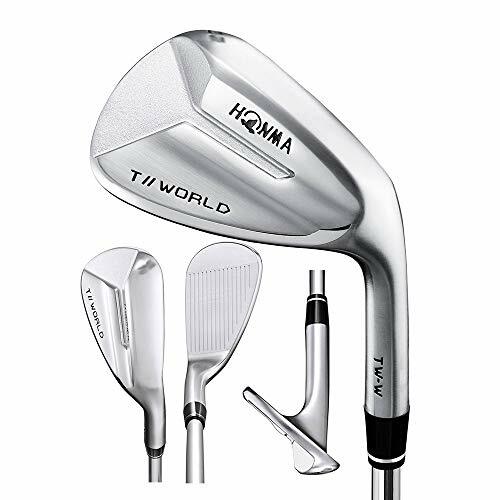 The Honma TW-W wedge is larger than the average bladed wedge which offers the user more forgiveness and better feel. These wedges perform well and give the user feedback upon strike. 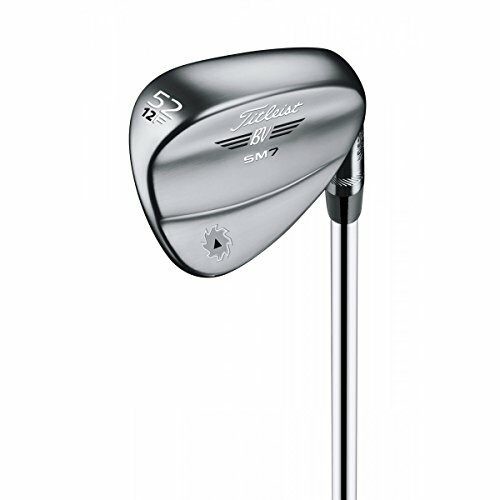 A raised heel and triangular shape allow this club glide through any lie with ease and promotes consistency. Wedge makers today have a heavy task at hand when it comes to pleasing the consumers. With the incredible innovations in golf club making, each wedge must be made to precise specifications. Although all companies claim to have the best products, most of them follow popular trends that are prevalent throughout the industry. One of the most popular repeated trends in wedges today is the improvement of grooves. Many companies have developed grooves inside of grooves in order to generate more spin than ever before. This makes balls spin off the face and stop quicker on the greens. Another common improvement in wedge making is face roughness amongst the grooves. The face roughness is done to grab the ball more on impact which also generates more spin. Another common trend in wedge making that we briefly discussed earlier, is weight distribution. Wedge manufacturers and designers have found amazing ways to distribute weight throughout the entire club head with the goal of improving the center of gravity. Improving the center of gravity not only makes you more consistent, it also allows the player to perform better with full swings. There are numerous ways to distribute and perfect the weight of a wedge and many companies are exploring these methods. Taylormade is leading the pack with these innovations by using weights in the heel and a hi-toe model to bring more weight to the toe. The final popular trend in wedge making has little to do with the actual performance of the wedge and more to do with the aesthetics. With all the customization options in modern golf, it’s no surprise that golf club makers have started offering different colored finishes. Companies like Taylormade, Titleist, Callaway, Cobra, and Mizuno are all making wedges with unique colored finishes for those who want to spice up their golf bag. Whether it’s a rust color from Taylormade, a chrome blue from Mizuno, or matte black from Titleist, you have more options now than ever. In order to determine which wedge fits you best, you must first understand what part of your short game needs the most help. If you dig into the ground and chunk shots, you’ll want to find a wedge with better weight distribution, like the Honma TW-W wedge. If you’re looking for more spin and stopping power on the green, look no further than Callaway’s PM Grind wedge. After looking through the top wedges from this year, it seems as if you can’t go wrong with any of them.